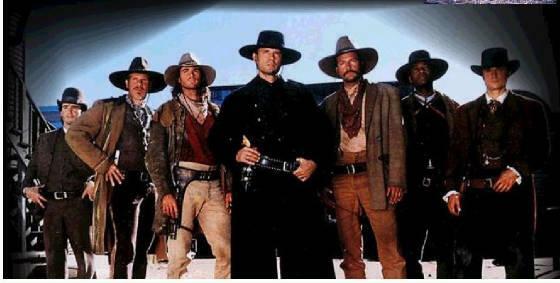 Welcome to my site which features fan fiction about my favourite TV show - The Magnificent Seven. Why don't you have a look around? The series featured Michael Biehn, Eric Close, Ron Perlman, Dale Midkiff, Rick Worthy, Andrew Kavovit and my favourite fella Anthony Starke. There's lots of my stories for you to read here as well as on my other site. I'd love to know if you enjoyed them. Hey, I've just posted PART NINE of Bitten (3/7/09)! Go to the link at the top of the page to access the whole story. The pictures from the series are reproduced here with the kind permission of Marg Baskin and The Bedlam Boys site.